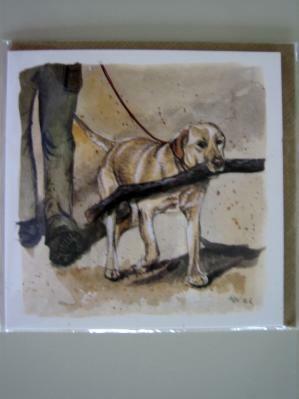 From artist Alan Clark this blank card captures man's best friend, all part of rural English life. Known well in England for his humorous artwork on country life, Alan always provides a giggle with his animal topics. The colors in the artwork are subtle and pretty. Card size 5 1/2 inches x 5 1/2 inches. First Aid for Dogs by Andrew Gardiner. Your Adopted Dog. How to make it a success.